If you aren’t familiar with 5-stand, it may become one of your favorite games to play with your shotgun! Our course is one of the best you will find anywhere. It is like sporting Clays but without the walk in the woods. 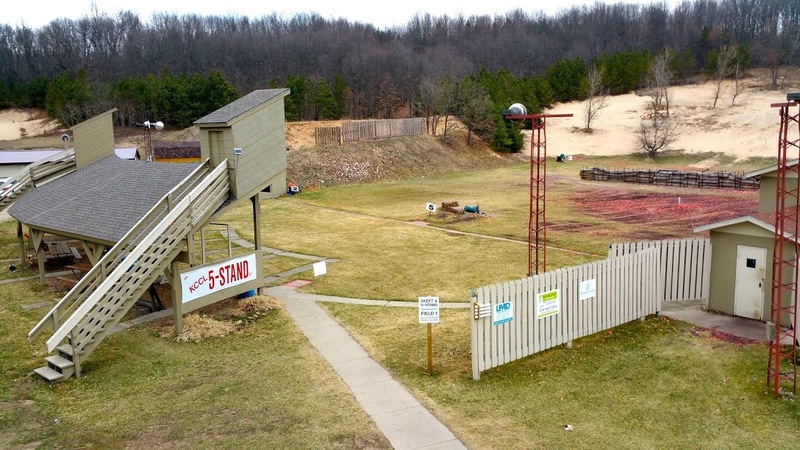 It is a 25 target game and can be shot in about a half hour or so, under a covered range…no rain to mess with you… and targets are launched from as many as seven locations in many directions for you to try to break from the five shooting stands. Each time you change to a new stand the targets all look different with new angles to keep it interesting. Just like Sporting Clays you shoot singles, report (following) pairs and true pairs (doubles) from each station. This is great fun, terrific upland game practice or a warm up for the Sporting Clays course. We change the target presentation often to keep it fresh and challenging for you and your shooting friends. Lots of laughs, and some moan and groans too. Give it a try, you will love it. In addition to the 5 stand course we have a 2-man flurry game. In this game there are six machine launching a total of 30 birds randomly in less than a minute.